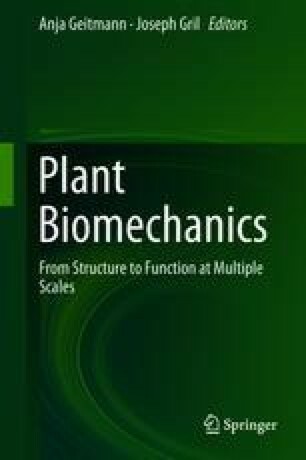 In this chapter, we provide an overview of some of the computational models used to understand morphogenesis in plants. In particular, we focus on models of growth and patterning processes in primary tissues, prior to the onset of lignification. We explain the assumptions behind these models and how they relate to biological evidence. Our aim is to provide some basic intuitions regarding the construction, operation, and interpretation of such models. We thank Richard Smith for helpful discussions and providing the simulation of auxin patterning in a developing leaf. We also would like the thank Przemyslaw Prusinkiewicz for discussions that helped to formulate some of the ideas appearing in this chapter. Support for this work was provided by the Bundesministerium für Bildung und Forschung grant 031A492, the Human Frontier Science Program grant RGP0008/2013 and the Max Planck Society. Funding from the European Commission from a Marie Skłodowska-Curie individual fellowship (Horizon 2020, 703886) is also gratefully acknowledged by AR.